For a gardener, that’s a dangerous admission. Gardeners are always pruning, or at least always cutting. (“Pruning” usually refers to operations on woody plants such as trees and shrubs, with the artistic intention to shape and train). We are always cutting down old stalks, bushwhacking overgrown or unwanted vegetation, or “pinching” young plants to make them bushier and fuller. The garden tool I use more than any other is a set of secateurs, otherwise known as pruners or clippers. On any inspection trip around the garden it takes only a minute or two before I spot a job that requires this tool. 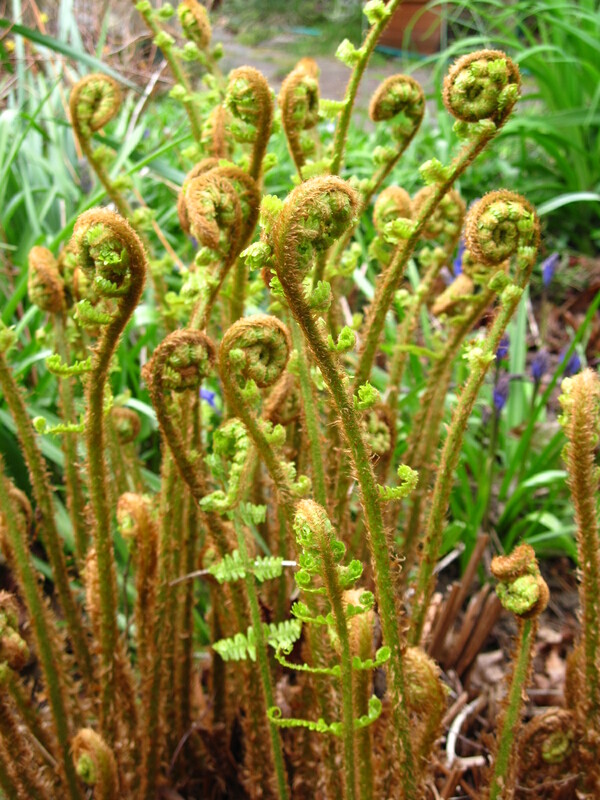 Yesterday, for example, I finally got around to cutting down last year’s fern foliage before the new fiddleheads start unfurling. 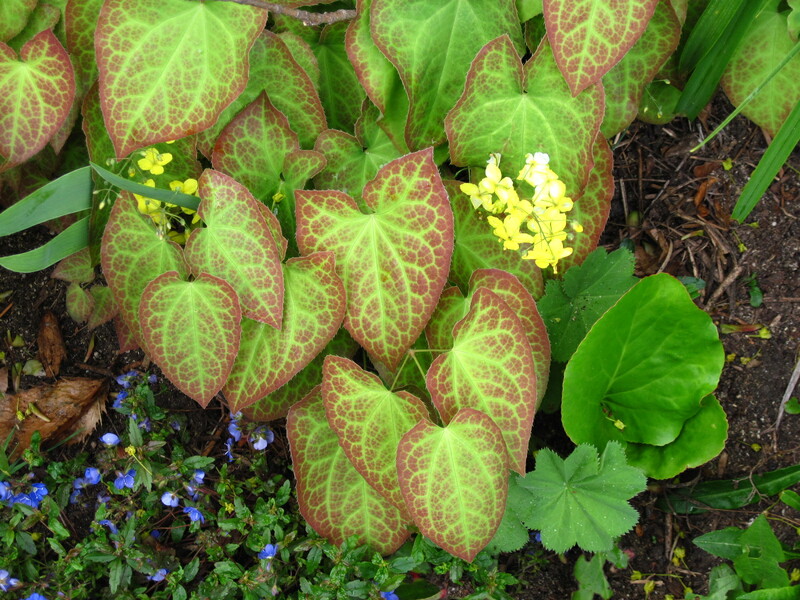 I wasn’t quite so prompt with Epimedium x perralchicum “Frohnleiten.” The durable foliage of this useful plant lasts all winter, but should be removed so the dainty flowers and beautiful new leaves may be seen and admired. By the time I got around to doing that yesterday, tender bloom stalks with their yellow flowers had already unfolded, with others still bent over but preparing to rise. Rather than the quick clip that would have been fine a few weeks ago, I had to do careful, stalk-by-stalk cuts. Accidentally cutting off new growth is sickening and guaranteed to make one feel like a Bad Gardener. That’s what I hate about pruning — cutting off healthy growth. 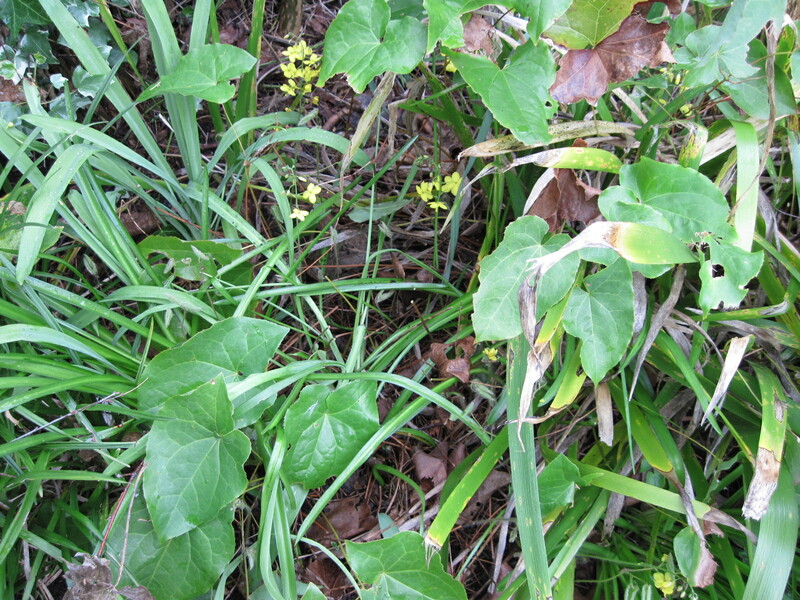 In the case of the Epimedium, it’s not desirable and happens only as a result of clumsiness or haste. 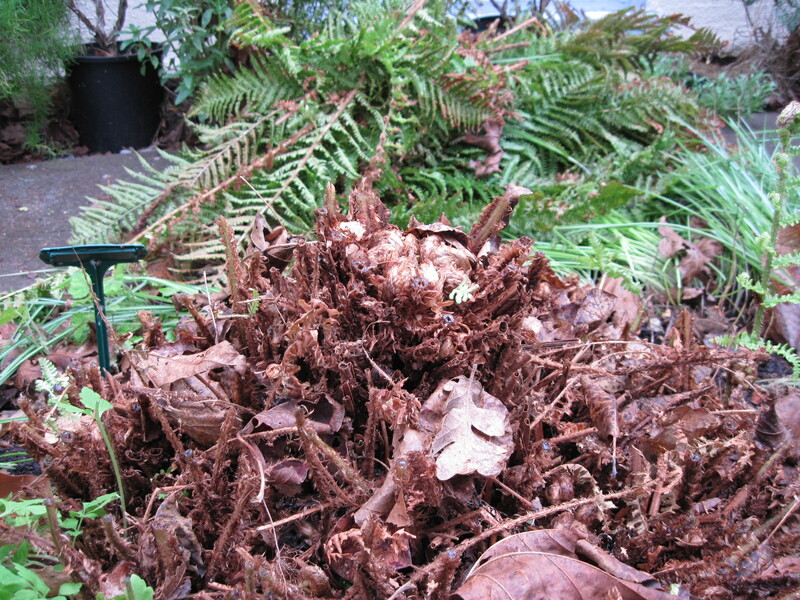 But pruning, done by the book, often requires removal of new, leafy plant material. Many types of clematis require that the plant be cut to the ground every spring. Easy but brutal, because often there is visible new growth all over the old vines. The gardener must steel herself and snip, suppressing the thought that the plant will have to replace all that mass, not just pick up where it left off last fall. (And yes, I know that if you leave the old growth, in a few years you end up with a woody tangle and fewer blooms). The healthiest and most vigorous growth on roses is at the very ends of the branches — and if you prune as directed, you cut it off, leaving stumps from which you hope and believe better new growth will come. At the plant’s lower height, you will be able to see and appreciate the flowers. That’s a good reason for pruning, but right after making the cut — reducing a lush mass of fresh, red-tinged leaves to a bare stub — I feel like like a vandal. I’ve been gardening for more than 30 years, and I still have trouble cutting off healthy-looking growth, even when I know it will (eventually) improve the looks and performance of the plant. Even now, there are occasions when I simply don’t do it, which means the plant gets leggy or woody, needing more drastic treatment (including total removal) down the road. “Strength follows the knife.” I mutter this gardening maxim as I stand in front of a plant, secateurs in hand, contemplating amputation. It’s what I think of as the Pruning Paradox — the weaker the plant, the harder you are advised to prune it, because pruning stimulates new growth. Like many maxims, it’s not 100%: once a plant is really weak, my advice would be simply to save yourself the effort of hard pruning its measly little limbs. The result will probably be the same, in the end. Once a plant is dead, there is no hesitation before cutting it down.